CEDAR RAPIDS, Iowa (December 4, 2018)-Kirkwood Community College, in collaboration with regional employers, has created new education and training delivery models to meet today’s workforce challenges. Developed as a result of the tight labor market, these earn-and-learn models are available to area employers with immediate need for solutions to labor shortages. 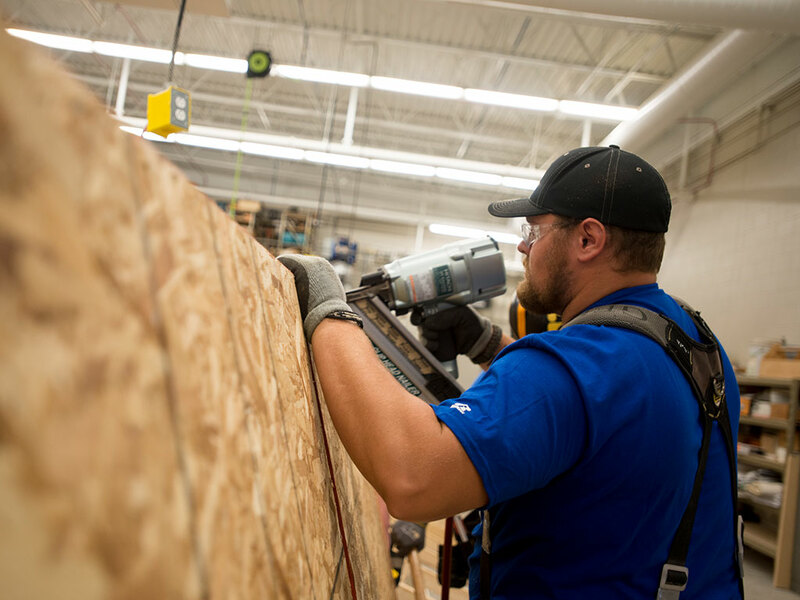 A combination of training programs, work-based learning and apprenticeships, the delivery format capitalizes on providing individuals seeking higher-paying opportunities a chance to earn a paycheck while they learn on the job. The result is that employers fill worker shortages, while building a long-term talent pipeline in their industry. According to Kirkwood Vice President of Continuing Education and Training Services Kim Becicka, now is the time for employers take their labor challenges head-on. Interested employers can contact Corporate Training at 319-398-5623 or corporatetraining@kirkwood.edu to get started. One example of these new models in action is the Construction Technologist Apprenticeship program, which will begin in early 2019. The program is a direct result of the construction industry expressing a strong need for solutions to address their worker shortage. Collaborating with employers, Kirkwood developed an educational model that’s a win-win for both employer and employee. At the end of a three-year apprenticeship, students will hold a portable Department of Labor credential and will have the majority of Kirkwood’s Architecture, Construction and Engineering (ACE) diploma completed. The college will hold an information session this Thursday (12/6) for anyone interested in starting or advancing their career in the construction industry. Employers interested in getting involved in the Construction Technologist Apprenticeship program can contact Corporate Training at 319-398-5623 or corporatetraining@kirkwood.edu. When: Thursday, December 6, at 3:30 p.m.